TORONTO – Over the last week, former Raptors big man Lucas Nogueira has been back in Toronto after spending the last several months training in his native Brazil. Making the rounds, Bebe visited the team’s practice facility on Thursday and told reporters that he would be in attendance for Saturday’s first-round series opener against Orlando. Speaking in Orlando a day earlier, Terrence Ross – who spent nearly five seasons with Toronto before being traded to the Magic in 2017 – was asked about his old team’s Game 1 misfortune. Even if you are only vaguely familiar with the Toronto Raptors, you’re probably aware of their dubious playoff history, which includes their propensity for starting off on the wrong foot. If you’ve lived that history – either as a fan, coach or player – you’ve certainly felt the weight of it. Despite going in as 9.5-point favourites at home, with the second seed and a different, revamped roster built for moments much bigger than this, the Raptors suffered a familiar fate to begin the 2019 postseason. With Saturday’s 104-101 loss, Toronto fell to 2-14 all-time in Game 1s, including 1-10 in the opening game of the first round. Of course, it’s something that’s awfully tough, verging on impossible to explain. 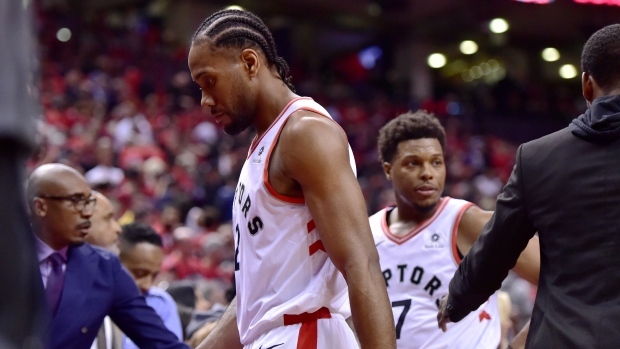 This so-called curse spans over two decades of Raptors basketball, from the Vince Carter era to the Chris Bosh teams to this recent run with DeMar DeRozan, Kyle Lowry and Dwane Casey at the helm, and now even further. After winning their first-ever postseason opener in the Washington series last season, supposedly putting an end to the “curse”, and then turning over the top of the roster and changing the coach over the summer, few expected this stat to resurface. Yet, here we are. In short, they were out-played by a young and hungry Magic team that they may have taken lightly, but should know better than to overlook again. The Raptors got off to a solid start, but fell apart in the second quarter where they fell behind by as many as 16 points. They answered with a 22-2 run to regain the lead early in the second half but Orlando didn’t go away, and full credit to them. The nine Magic players who saw the court on Saturday came into the night with just 75 games of playoff experience combined. Their started had appeared in 33 postseason contests and none since 2014. Twenty-eight of those games belonged to D.J. Augustin, who was instrumental in Orlando’s win. The 31-year-old, who scored a total of 21 points in 82 minutes with the Raptors before being cut in 2013, had 25 points in 29 minutes for the Magic in Game 1. Despite their youth and inexperience, the Magic didn’t fall apart when the veteran Raptors – who came in with 320 games of playoff experience in their starting lineup alone – threw their counterpunch. With Steve Clifford at the controls they’re well coached, and with Augustin leading the way they were in good hands. The 11-year vet stayed calm, made plays, got to the rim and hit four three-pointers, including the game-winner. That clutch three came with Kawhi Leonard and Marc Gasol – two former Defensive Player of the Year winners – getting crossed up on the play. The point guard matchup was a perceived strength for the Raptors going into this series – an all-star in Kyle Lowry and one of last season’s Sixth Man of the Year finalists in Fred VanVleet versus a pair of journeymen in Augustin and Michael Carter-Williams. Instead, Lowry resurrected another familiar Raptors playoff narrative, missing all seven of his shots and going scoreless in nearly 34 minutes. Lowry’s playoff struggles are overblown. He’s had some memorably – and in some cases historically – bad games, but he’s also had great, series-changing games (his Game 7 against Miami was one of the best individual performances in franchise history, for instance). However, this was a lot closer to the former. With the addition of Leonard and the emergence of Pascal Siakam, Lowry’s role has changed some this season. He took fewer shots and scored fewer points, but also finished second in the NBA in assists, averaging a career-high 8.7. Speaking to the media on Thursday, in the lead up to this series, he acknowledged that there’s less pressure on him to score big as long as he leads the team and makes his typical winning plays. For what it’s worth, Lowry wasn’t as bad as his scoreless night would indicate. He had seven rebounds, eight assists, was a team-best plus-11 and took what looked like a painful charge on his former teammate, Ross. However, he was the primary defender on Augustin in the first half – when the Magic point guard scored 19 of his 25 points – forcing Nick Nurse to change the matchup and put Danny Green on him after halftime. Lowry is almost always a net-positive when he’s on the court, in large part because of little things he does to give his team and edge or make his teammates better. But, simply put, he can’t get so thoroughly out-played by Augustin. No, the Raptors don’t need him to score big, but they do need him to score. He got some good looks on Saturday, shots he normally makes and probably will make down the line, but when the jumper isn’t falling he’s got to find a way to be more of a factor offensively. There was a sense of calm in the Raptors' locker room after the game, and not just from Lowry. Unfortunately for Lowry and the team’s longest tenured players, they’ve been in this spot before, down 0-1 in a playoff series and needing to dig themselves out of an early hole. They know the drill by now. Watch film, go back to the drawing board, and so on. However, even for the guys that haven’t been here, who haven’t lived through the history of Game 1 losses over and over like Leonard, Green and Gasol, they know this thing is a marathon.